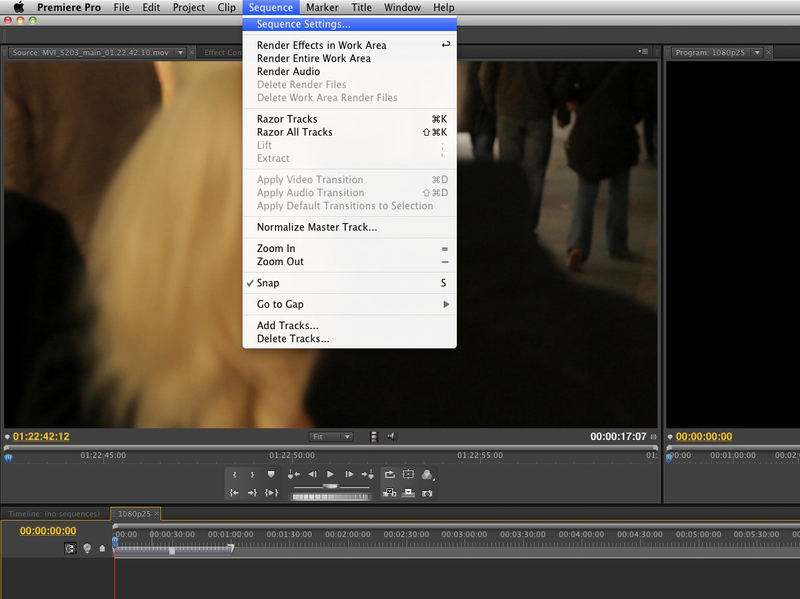 Well we are testing Premiere Pro CS 5.5 for a few weeks now. Yes, we tried that in the past and it did not work out well. 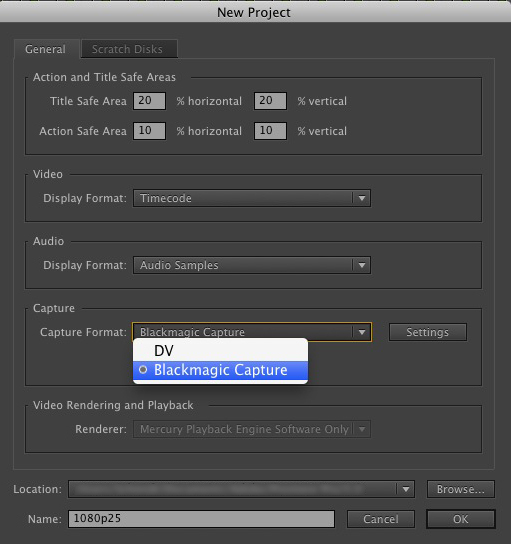 But with the release of the 9.2 Version of the Blackmagic Design drivers (Blackmagic Design Desktop Video 9.2 – a while ago now) for the BMD Video-Cards we use something changed and now it actually works quite well. Now, we still use FCP7 for older or “special” projects. But with CS6 in the very near future things are looking good … well bad for FCP and Apple. The whole AVID MC 6 thing did not work that good for the stuff we do… even though it’s a great NLE … it’s just not for how we things rock over here, lets just leave it at that. I will not talk about FCPX … u know how I feel about it … for some work its great …for most stuff not tho’ (a matter of “taste” anyway) … it will take a loooooooong time till that App will be 100% ready … end of story (for FCPX). 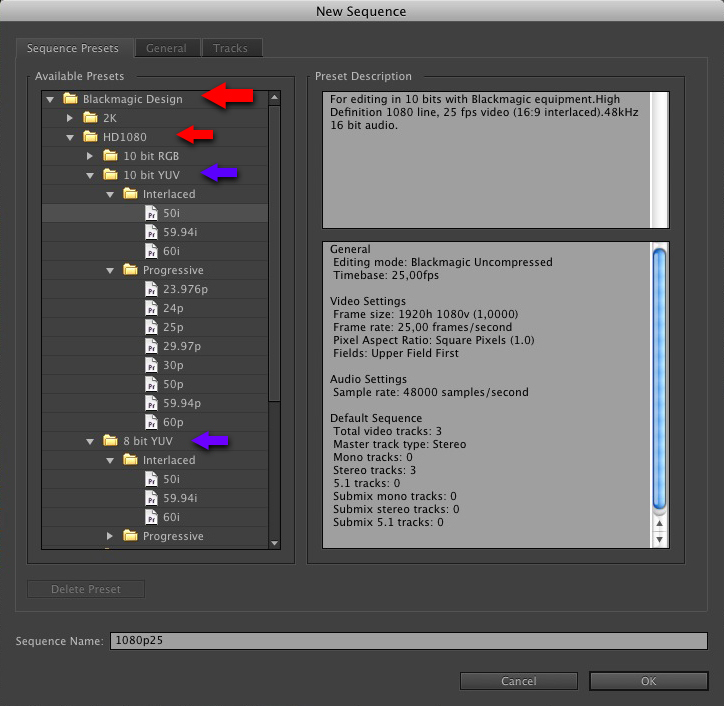 Anyway… here are some settings that worked quite well for us and our “old” MacPro’s with Blackmagic Cards. One note: We are in PAL-Land so we work with 1080p25 or 50i … u might try other frame rates for your footage! Now comes the essential part: After you hit OK … You have to choose the Blackmagic Design HD1080 preset (8 bit or 10 bit with the Frame-rate your footage is in) Don’t use the DSLR Preset, that doesn’t work well at all for most Machines (using ProRes footage / with external Playback) One side-note if you use an external Monitor (via HDMI for example) that can not play/show progressive footage (25p in our case) you have to choose an Interlaced Preset (50i in our case) … you will be able to work with progressive footage (25p in our case) just as good in that Interlaced Timeline it will NOT change it to interlaced or something …. at least in our case. Now, before you start to work on anything you have to select your playback engine (Player Settings) so that your are able to see anything on your external monitor. Here you might select the codec of your footage. You can “play” with that setting … test out what works better on your system / with your footage. … and that’s it … all should work well now … if not, let me know … we will keep testing stuff out further on and pretty much look forward to what happens at NAB this year with CS6 🙂 if you have questions, use the commends section below. On side note … for FCP7 users i highly recommend using the FCP keyboard shortcuts in PPro (even map your own shortcuts to keys). I’ve followed your settings exactly and my playback still stops at an edit between shots 😦 My rig is a MacPro 2×2.4, 32gb, quadro 4000.
ok did u try the 8 bit preset? 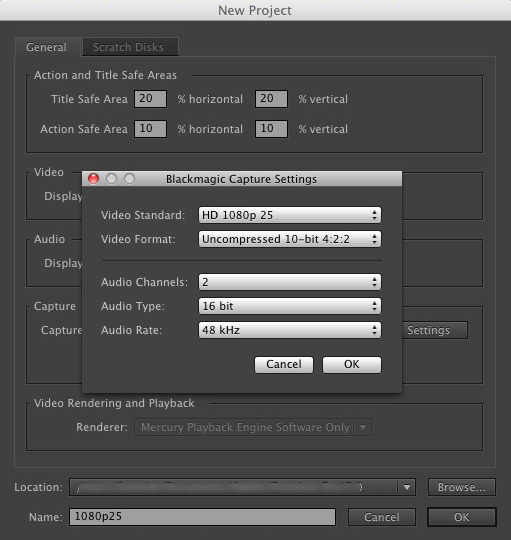 … what Blackmagic Card do you have and do you use HDMI or SDI out … and what codec is your footage? Hi. I came across your blog and thought I might see if you could help me out. I have just bought the black magic camera, black magic studio express and adobe premier pro. I am wanting to capture a live feed from the camera , straight into premiere pro. I haven’t had any success yet. I have been able to capture into black magics software which is good but it would be better if I could capture straight into premier pro. SDI out from black magic into black magic studio express – thunderbolt from studio express into iMac, running premiere pro. If you had any thoughts on how I can make this work I would be greatly appreciative. hey there …. sadly can’t really help you with that since i didn’t even have to capture anything with/in PPro yet … just files based workflow nowadays back here … sorry!